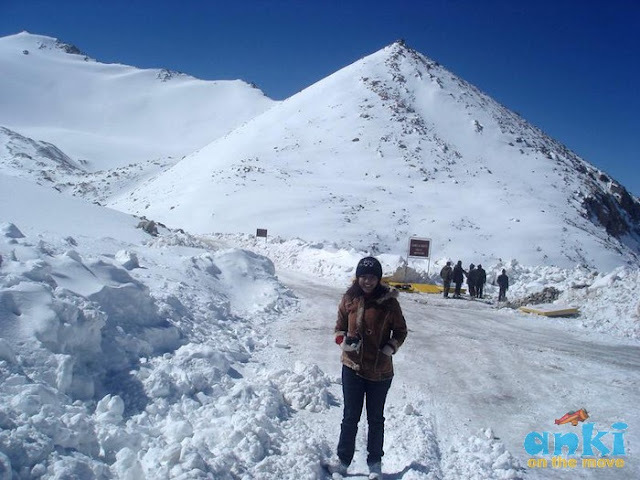 I had never seen so much snow in my entire life before Leh happened.Never in India did I know that a place could be as picture perfect as Leh. Surprisingly,I like late winters more than summers in Leh - though I have been lucky enough to be in Leh thrice in Late May,Oct and Early April.The pictures below are after the harsh winter of Dec-Feb is over and the summers are yet to kick in,in early April.The temperatures at the Airport was recorded -3,these are en route Pangong. It is when the shops are closed,when there are few furry dogs on the road,when there are few vehicles,mostly convoys and when the hot cuppa Maggi tastes like delicacy. 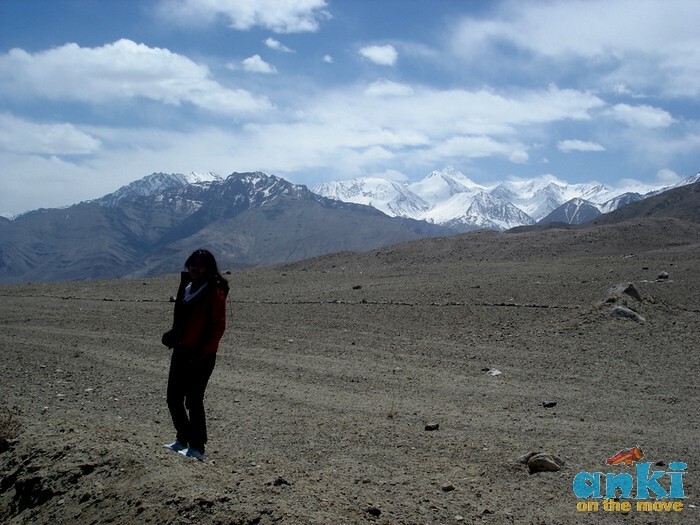 When the locals dress up in their colorful traditional best wrapped up in layers of Jackets and Sweaters,and when the formation of the fog as you exhale,reminds you of Leh being one of the coldest terrain in every breath you take. and in fact come out of the tap! 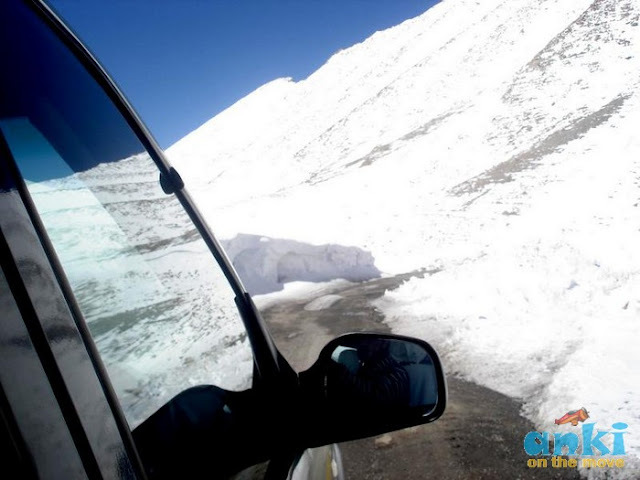 We started off early in the morning from leh-pangong.It takes 5-6 hours to reach the lake.Prior permit is required to visit the lake,though it can be obtained in a day or you can ask your travel agent to arrange it for you. 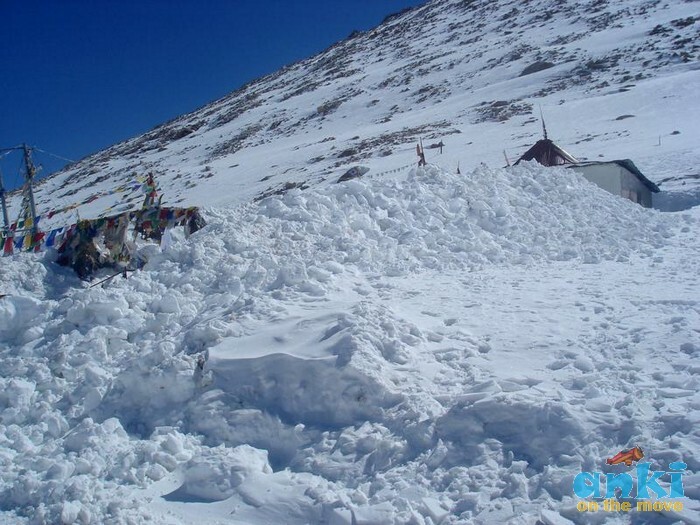 - An Inner Line Permit is required to visit the lake as it lies on the Sino-Indian Line of Actual Control. and it can be procured at the DC’s office in Leh. Dy Commissioner, Leh : 01982-252010, Kargil : 01985-232715. - While Indian nationals can obtain individual permits, others must have group permits (with a minimum of three persons) accompanied by an accredited guide; the tourist office in Leh issues the permits for a small fee. For security reasons, India does not permit boating. On one of the roads we traveled en route : Dead end. The journey started with the whole terrain engulfed in snow.The best thing about Leh is the broad well maintained roads to everywhere,even though the drive to pangong in winters is not recommended for the weak hearted.I say so on my own experience,as there are times when we had the whole road in front of us blocked with snow,and we had to wait for the snow to melt.Sometimes,it was,like the whole road had gone missing,and we were driving to the unknown. Aha! Finally a road that leads to somewhere- Chained Vehicles. 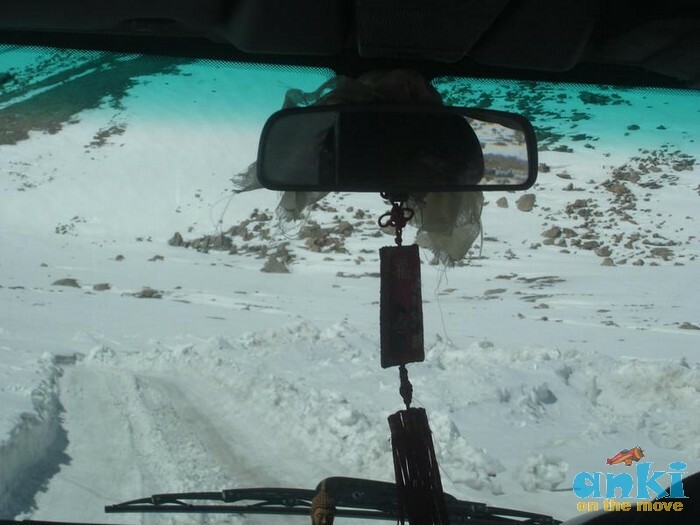 Sometimes we had to get our vehicles chained,but best part is that we could still complete the journey in a day and I absolutely loved it.If you are looking for some adventure,ilate winters can be the best bet,and no wonder you'll feel the winner in you jump and say "Yes I did it" .Plus the negligent amount of Tourists who happen to be there at there that time. And That makes it harder to breathe. The super thin air,in winters,makes you feel how important is it to just feel ok even though you know it,that it is not so ok.Your lips could turn to a soil of broken lands,your nose can freeze.But then you have to move on. Have you been to a frozen loo?The journey to pangong ,started with breathtaking views of the valley alongside,and to my surprise the journey came to a sudden halt thanks to nature's call.Sometimes you cant just help.I came out of the car,snow snow everywhere,at a distance I could spot a toilet made of woods,and partially covered with snow.The thin air made me feel a little weird and dizzy,as the wonder loo was at the height of 16000 feet and I had to walk to a certain distance to avail such a remote loo.And then to my surprise I was at the frozen loo,but then I had no choice.This is one experience I cannot and will not ever be never to forget.So guys if you go to pangong lake in winters,do stop by at any random wooden loos(if you are lucky to spot it),and just go inside and see how the frozen washroom looks like.You would be either surprised or shocked.Whatever it may be,it would be rare. Lovely narration with good information sprinkled throughout. @Ramakant: Glad you liked it,will come with more of my experiences on Leh,just travelling for a while to other places.Have you been to Leh? Not yet. But it's on my wish list. I have my heart set on a riding a motorcycle on the road to Leh, to get to Khardung La pass. Will sure try it out. Thank you. @jigar:Thanks n glad you liked it.Will look into the contest..thanks for informing me about it. Very interesting blog! Thanks for sharing! A lot of snow. Absolutely stunning place to be at.